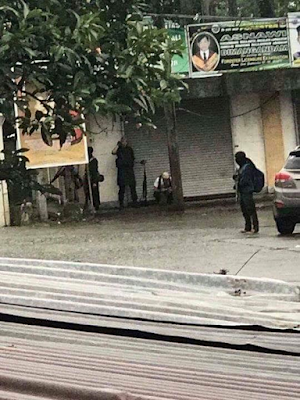 Daesh-linked militants swept through a southern Philippine city, beheading a police chief, burning buildings, seizing a priest and his worshippers and raising the flag of Daesh, authorities said Wednesday, May 24. President Rodrigo Duterte, who had declared martial law across the southern third of the nation, warned he may expand it nationwide. As details of the attack in Marawi city emerged, fears mounted that the nation could be falling into a growing list of countries grappling with the spread of influence from Daesh in Syria and Iraq. 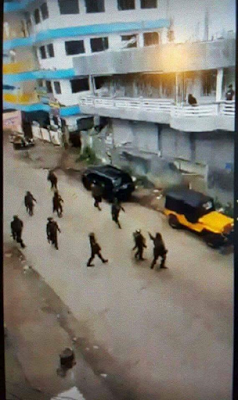 The violence erupted Tuesday after the army raided the hideout of Isnilon Hapilon, a commander of the Abu Sayyaf militant group who has pledged allegiance to Daesh. He is on Washington's list of most-wanted terrorists with a $5 million reward for information leading to his capture. 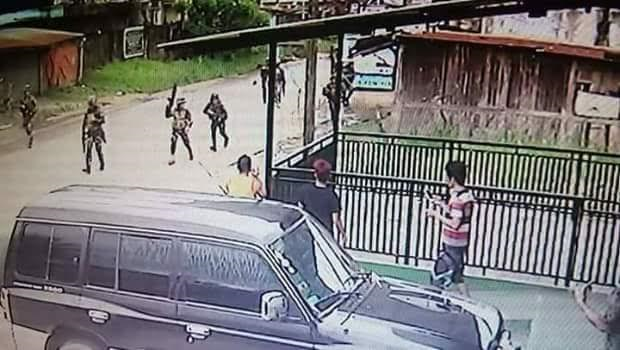 The militants called for reinforcements and around 100 gunmen entered Marawi, a mostly Muslim city of 200,000 people on the southern island of Mindanao, Defense Secretary Delfin Lorenzana said Wednesday. "We are in a state of emergency," Duterte said after he cut short a trip to Moscow and flew back to Manila. "I have a serious problem in Mindanao and Daesh footprints are everywhere." He said a local police chief was stopped at a checkpoint and beheaded, and added that he may declare martial law nationwide if he believes the group has taken a foothold. Lorenzana, the defense secretary, said at least two soldiers and a police officer had been killed. But the numbers could change as more information comes out. 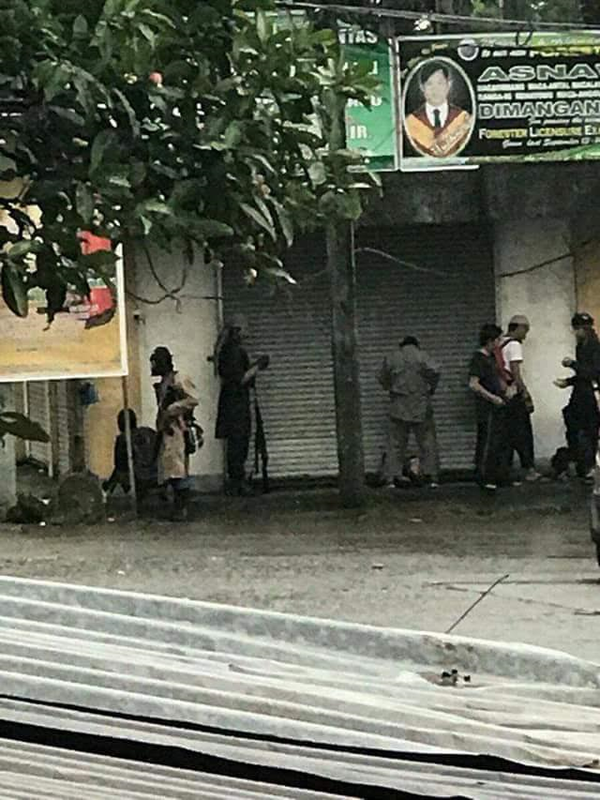 On Wednesday, Marawi Bishop Edwin de la Pena said the militants forced their way into the Marawi Cathedral and seized a priest, 10 worshippers and three church workers. The priest, Father Chito, and the others had no role in the conflict, said Archbishop Socrates Villegas, president of the Catholic Bishops Conference of the Philippines. "He was not a combatant. He was not bearing arms. He was a threat to none," Villegas said of Chito. "His capture and that of his companions violates every norm of civilized conflict." Villegers said the gunmen are demanding the government recall its forces. On Tuesday evening, Duterte declared martial rule for 60 days in the entire Mindanao region - home to 22 million people - and vowed to be "harsh." "I warned everybody not to force my hand into it," Duterte said on his plane en route to the Philippines. "I have to do it to preserve the republic." Martial law allows Duterte to use the armed forces to carry out arrests, searches and detentions more rapidly. He has repeatedly threatened to place the south, the scene of decades-long Muslim separatist uprisings, under martial law. But human rights groups have expressed fears that martial law powers could further embolden Duterte, whom they have accused of allowing extrajudicial killings of thousands of people in a crackdown on illegal drugs. Details from inside Marawi were sketchy because it appeared to be sealed off and without electricity. Hapilon, an Arabic-speaking preacher known for his expertise in commando assaults, pledged allegiance to Daesh in 2014. He is a commander of the Abu Sayyaf militant group and was wounded by a military airstrike in January. Troops sealed off major entry and exit points to prevent Hapilon from escaping, military chief of staff Gen. Eduardo Ano told The Associated Press late Tuesday. "We will conduct house-to-house clearing and do everything to remove the threat there. 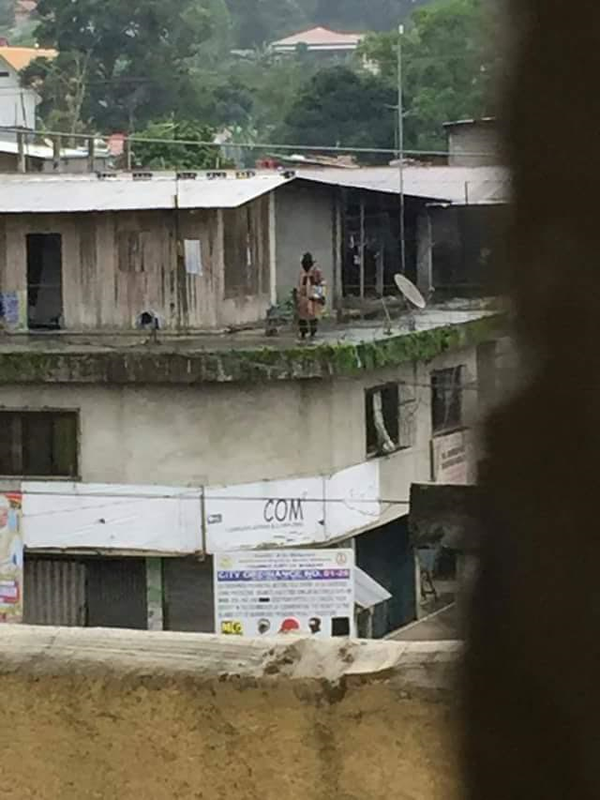 We can do that easily," Ano said, but added it was more difficult in an urban setting because of the need to avoid civilian casualties. He said the group erected Daesh flags at several locations. Duterte met late Tuesday with Russian President Vladimir Putin and said he is counting on Russia to supply weapons for the Philippines to fight terrorism. "Of course, our country needs modern weapons, we had orders in the United States, but now the situation there is not very smooth and in order to fight the Islamic State, with their units and factions, we need modern weapons," he said, according to Russian state news agency Tass. While pursuing peace talks with two large rebel groups in the south, Duterte has ordered the military to destroy smaller extremist groups which have tried to align with the Daesh group. 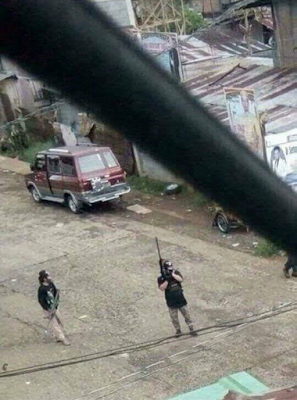 At least one of those smaller groups, the Maute, was involved in the Marawi siege. It's one of less than a dozen new armed Muslim groups that have pledged allegiance to Daesh and formed a loose alliance, with Hapilon reportedly designated as the alliance's leader. 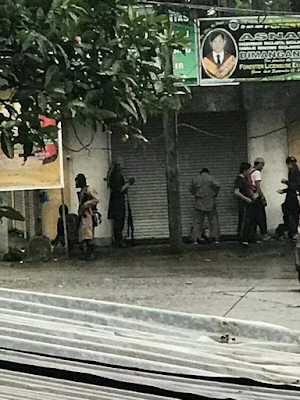 Political analyst Ramon Casiple said the Maute is a clan-based group with members in Marawi who came to Hapilon's assistance, with some directly assisting in the fighting and others fanning out to different parts of the city, setting up checkpoints and burning some buildings and taking hostages from the cathedral. "It is difficult to root out because they are from there," he said. "The Mautes are embedded in the population." The group has been blamed for a bombing that killed 15 people in southern Davao city, Duterte's hometown, last September and a number of attacks on government forces in Lanao, although it has faced setbacks from a series of military offensives. Last month, troops backed by airstrikes killed dozens of Maute militants and captured their jungle camp near Lanao del Sur's Piagapo town. Troops found homemade bombs, grenades, combat uniforms and passports of suspected Indonesian militants in the camp.